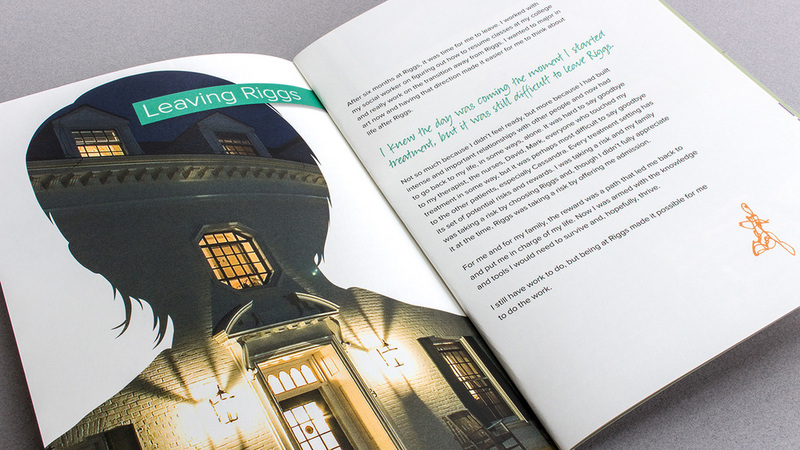 The journal format is the perfect vehicle to tell the Riggs story from a patient’s viewpoint. A composite of vignettes stitched together in one voice is accompanied by photo collages similar to those seen in social media. Handwritten text calls out highlights of the patient’s thoughts along with doodles created by an anonymous patient found in Riggs archives. 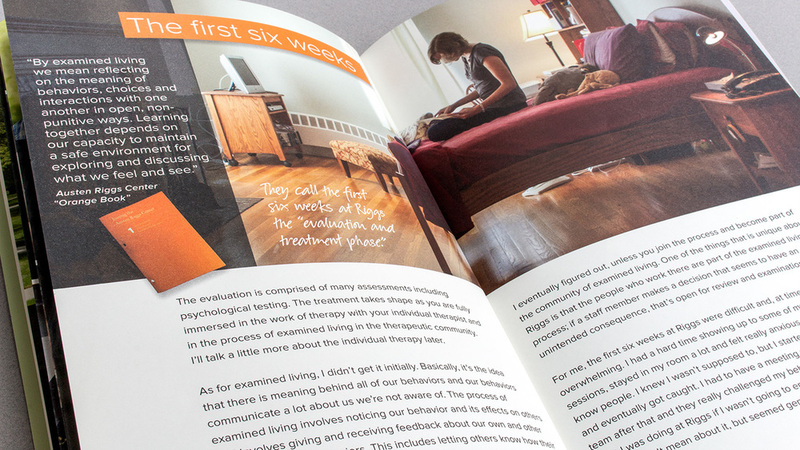 View A Patient's Perspective here or download it at the Austen Riggs website.